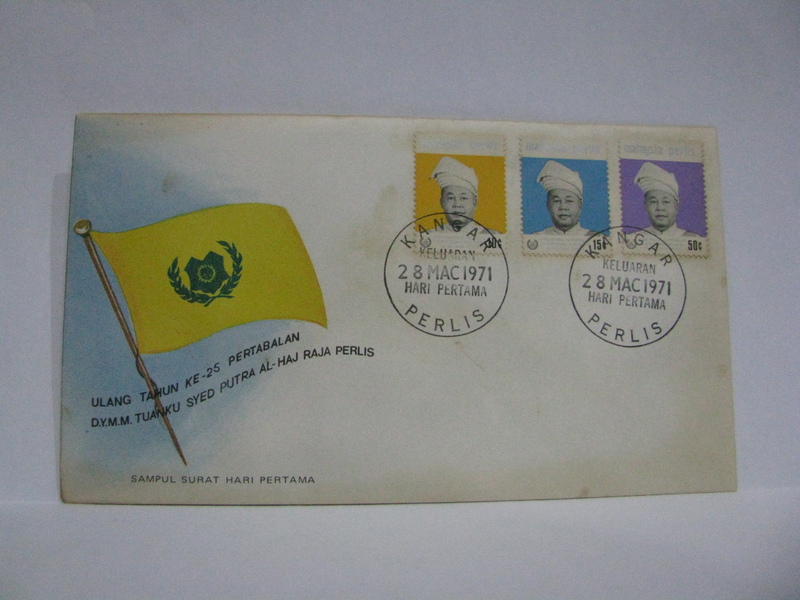 This FDC was cancelled in Kangar. 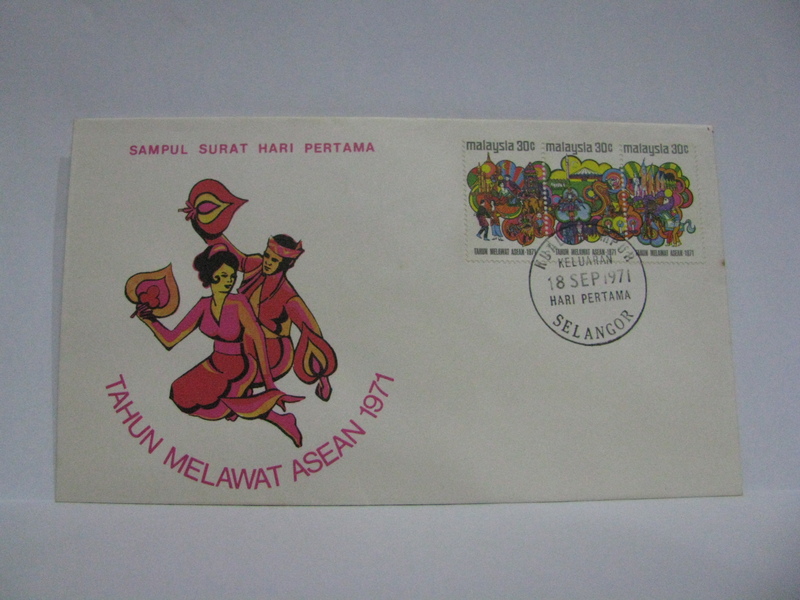 A special cancellation was issued for the opening. 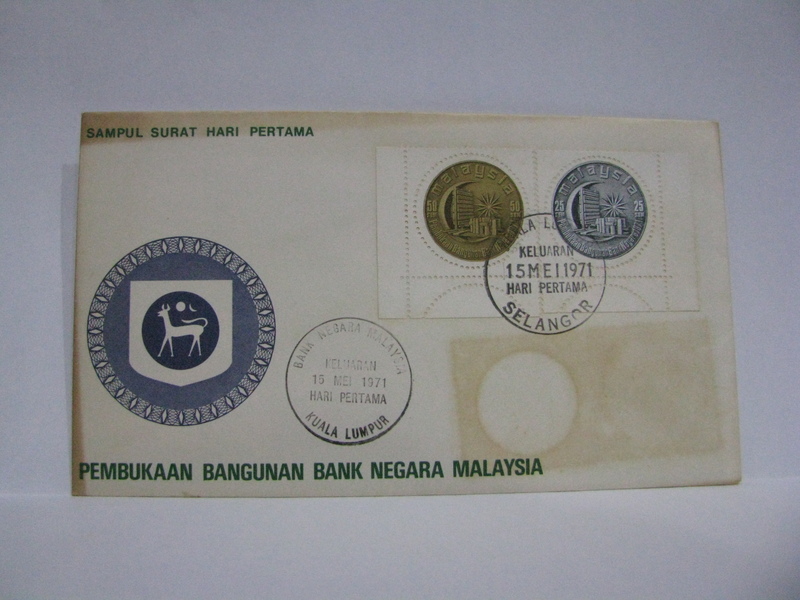 This FDC has two cancellations – the Kuala Lumpur cancellation as well as the special Bank Negara Malaysia cancellation. 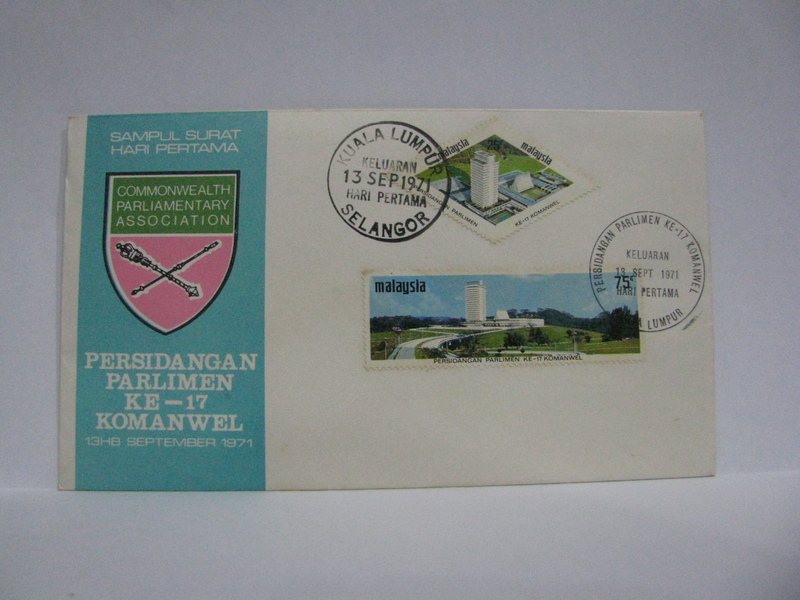 This FDC has both the Kuala Lumpur cancellation as well as a special Persidangan Parlimen Ke-17 Komanwel. 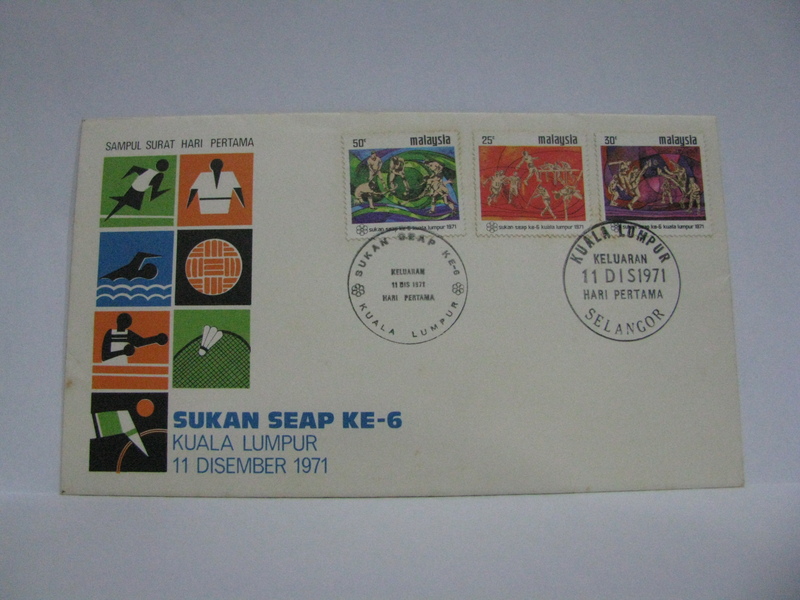 This FDC was cancelled with the Kuala Lumpur cancellation as well as the special Sukan SEAP Ke-6 cancellation. 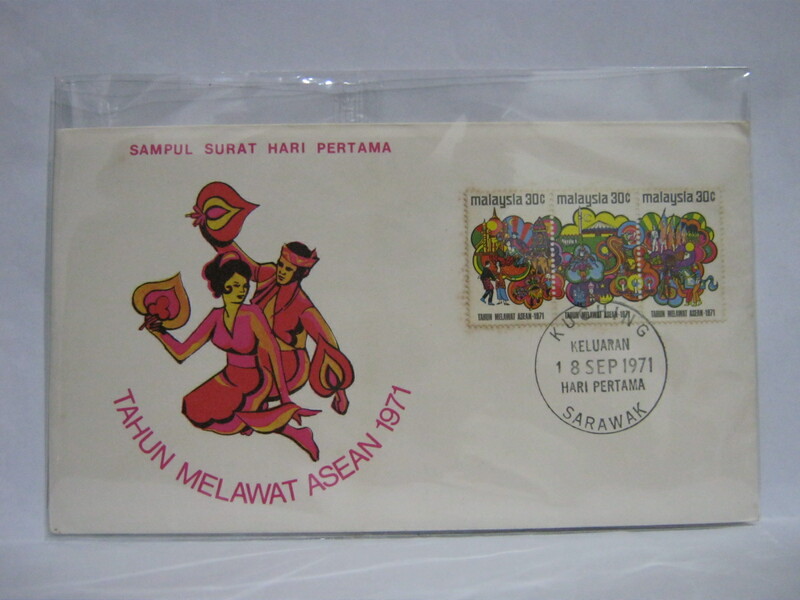 I have a collection of first day covers complete with brochures if anyone is interested. Hi, are you giving them up for free or selling them for a price? These are my private collection and some pictures are from collectors who are willing to share. My spares are on sale on eBay.